PESHAWAR -- Journalists in Pakistan have joined the international community in condemning the twin suicide bombings Monday (April 30) in Kabul that killed at least 26 people, including nine journalists. The first suicide bomber blew himself up near the headquarters of Afghanistan's National Directorate of Security in Kabul. A second struck 20 minutes later among reporters who arrived at the scene. Journalists from AFP, Radio Free Europe and Afghan broadcasters TOLOnews and 1TV were among the others killed. 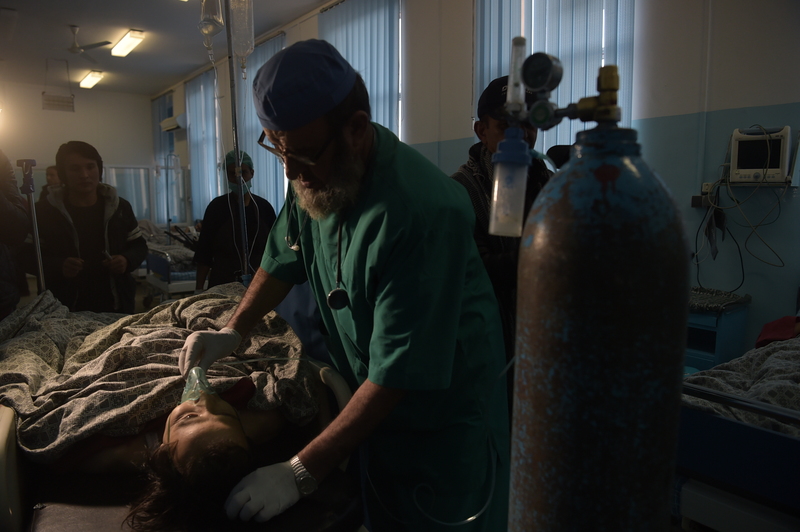 Reporters Without Borders described the incident as the most lethal single attack on Afghan media since the overthrow of the Taliban in 2001. Meanwhile, in a separate incident Monday, BBC Pashto reporter Ahmad Shah was fatally shot in Khost Province by unidentified gunmen on a motorcycle, bringing the number of journalists killed that day to 10. The Kabul atrocity, claimed by the "Islamic State of Iraq and Syria" (ISIS), drew condemnation from the United Nations (UN) and others in the international community. UN Secretary-General António Guterres said he was "outraged" by the suicide blasts, which left another 49 people wounded. "The deliberate targeting of journalists ... highlights once again the risks media professionals face in carrying out their essential work," he said. US Secretary of State Mike Pompeo also denounced the "senseless and barbaric attack". Journalists across the border in Pakistan condemned the massacre, which Human Rights Watch described as a "war crime". "It was a tragic and dark day for Afghanistan," a young female journalist from Peshawar, Amina Khan, told Pakistan Forward. "We have gone through the same pain in the past, so we feel their pain," said Khan. "Very tragic day for journalists in Afghanistan. May Allah rest the souls of all media martyrs in peace. May Allah give peace to the whole region," tweeted Hamid Mir, an Islamabad journalist and anchor working at Geo TV. Professional journalism organisations across Pakistan joined in the outcry, including the Pakistan Federal Union of Journalists, which called for increased security for all journalists in the region. The Rawalpindi-Islamabad Union of Journalists held a ceremony Monday to pay tribute to journalists killed in Afghanistan. 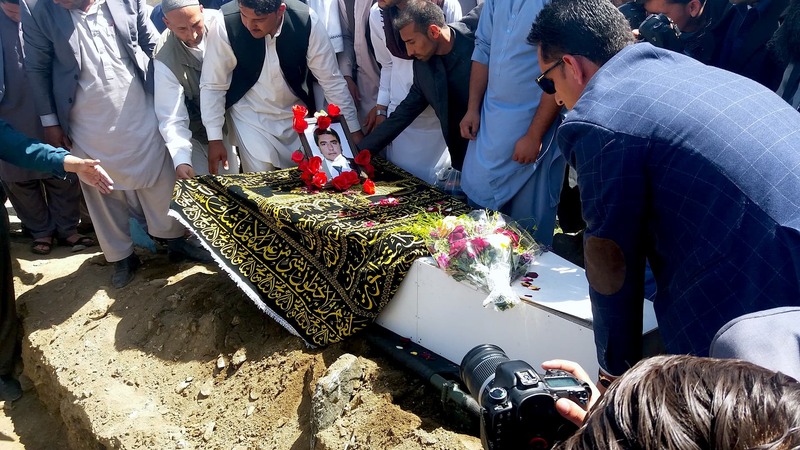 "Freedom Network is shocked by the murders of so many brave Afghan journalists ... and shares the grief and pain of free Afghan media," said Iqbal Khattak of Islamabad, the executive director of Freedom Network, an organisation working for the safety and rights of journalists in Pakistan. The double suicide bombing reminds everyone how dangerous it is to pursue journalism not only in Afghanistan but also in Pakistan, he told Pakistan Forward. "We, Pakistani journalists, are equally shocked and concerned over the massacre of the journalists in Afghanistan," Yousuf Ali, a former general secretary of the Peshawar Press Club, told Pakistan Forward. "More safety and professional training should be arranged for the journalists. The owners of media organisations should provide security and insurance to media workers in Pakistan and Afghanistan, where journalism is not an easy job," Ali continued. "We strongly condemn this barbaric and brutal terrorist attack on journalists in Kabul and express solidarity with Afghan friends," Islamuddin Sajid, an Islamabad-based television journalist and security correspondent, told Pakistan Forward. "We lost a number of colleagues during the war against terror in Afghanistan and Pakistan, and still there is no security for journalists in the two countries," said Sajid. "Local and international media should do more for the regular correspondents and stringers and their families in case they are attacked or threatened," said Sajid. "States should ensure the safety and security of journalists in their areas, and those involved in threats against and the killing of journalists need to be exposed and punished," Izhar Ullah, a journalist working for an international media organisation in Peshawar, told Pakistan Forward. I offer my condolences for all the martyrs of Afghanistan, especially the martyrs of Afghan security forces and National Army, who sacrifice their lives to defend this country. 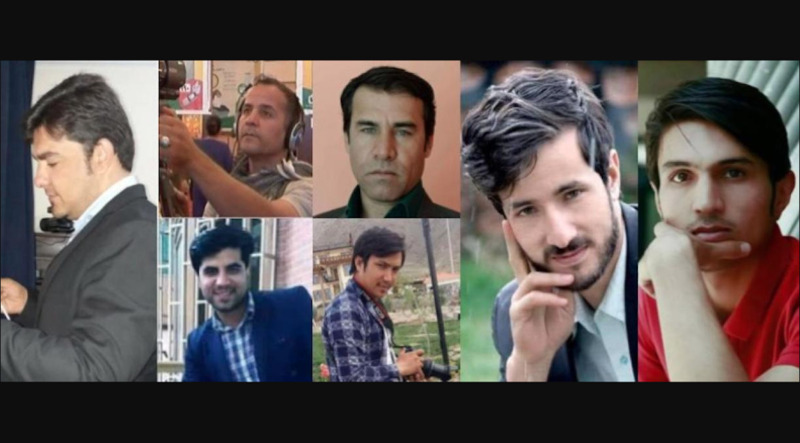 No entity or organization expresses its condolences when more than hundreds of youth lose their lives on battlefields, and yet, all countries who are sponsors of terrorism show sympathy for the martyrdom of 10 reporters who were killed in suicide attacks. Recent attacks on Afghan journalists and on the voter registration process are 'far from every religious, judicial and international law or regulation'. Seeking to hide the crimes they have committed, ISIS and the Taliban have increased attacks against journalists and the media. The second of the two suicide bombings was timed to hit first responders and journalists who rushed to the scene of the attack, officials and witnesses say.